Confirmed: White House Lied About Jonathan Gruber’s Role in Developing ObamaCare | What Did You Say? Good luck with that, Rep. Chaffetz. At the rate this Administration responds to congressional and public inquiries, you’ll be getting the answer to your letter sometime in 2018. There’s a lot more at the Wall Street Journal piece linked above, including Gruber’s invaluable assistance in spinning reporters, working out deals with Big Labor, and getting recalcitrant Senators including Mary Landrieu (D-LA) on board. How’s that ObamaCare working out for you career-wise, Ms. Landrieu? Are you happy Gruber was able to talk you into supporting the law you knew was a pile of garbage? As with every bit of truth cudgeled out of this furtive Administration, it took a long time for the House Oversight Committee to get to the bottom of this, after obtaining 20,000 pages of emails from MIT. Once again, the Obama delaying tactics worked like a charm. 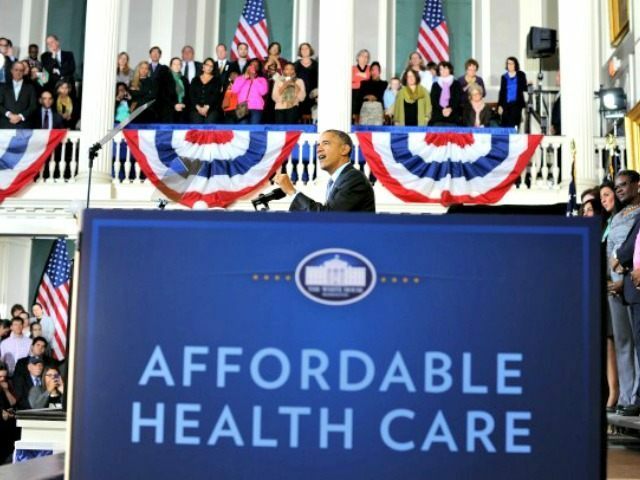 When the President falsely denied Gruber’s role to the media, it gave them the go-ahead to largely ignore those bombshell videos in which he not only confirmed that the much-anticipated Supreme Court ruling in King v. Burwell should be a slam-dunk against ObamaCare, wiping out the subsidies illegally paid through the federal exchanges, but also explained at length how so much of the Affordable Care Act was an elaborate scam designed to keep American voters in the dark about the legislation’s true objectives and ramifications. Gruber and his pals figured only a few states would resist creating the exchanges, and the loss of subsidy money to their citizens would quickly pressure the holdout governors to knuckle under and set one up, thus allowing the federal government to offload the expense and hassle of the program (which ObamaCare’s creators always knew would be far, far greater than what they told the public) onto hapless conscripted state governments. As with so much of the Affordable Care Act, voluntary participation was an illusion, a lie. The states were to be given a hypothetical choice not to “opt in” to the exchange program, but in reality the subsidy baseball bat would be applied to the kneecaps of holdouts until they abandoned their resistance. This is also the reason President Obama lied, and lied, and lied again about how you would be able to “keep your plan if you like your plan.” You were tricked into thinking participation in ObamaCare would be voluntary, and you could just stay with your old health care if you decided the new government-controlled offerings weren’t right for you. Obama explicitly put it that way when he was crisscrossing the country to spread the Keep Your Plan lie – he said the Affordable Care Act would be so wonderful, saving average Americans some $2,500 a year on the cost of insurance while delivering a superior product, that people would voluntarily abandon their old plans and demand ACA plans in droves. If the Obama media had paid proper attention to the significance of the Gruber revelations, and the White House had not been able to downplay the depth of his influence on the plan, the uncovering of his videotaped chest-thumping – by a citizen, not any sort of professional “journalist” – would have been devastating. Instead, once again, the media eagerly helped Obama shape a painful news cycle with falsehoods, and the truth comes out literally days before the Supreme Court rules on the subsidies – too late to influence the Court, while Obama was given a clear field to bully them into protecting his health care con job again. The Obama Administration has always understood that truth depreciates in value over time. Today’s blockbuster revelation becomes tomorrow’s footnote. This is especially true under the “progressive” philosophy of never returning liberty it has taken. The American people were never told ObamaCare would be a permanent disfigurement of the Constitutional order, invulnerable to repeal no matter how many of its promises were proven false, or how much damage it did to the lives of law-abiding taxpayers. They are never told this vision of “democracy” works by banana-republic rules: one man, one vote, one time; no apologies, no refunds, no more choices in the future. “Hope and Change” are popular slogans until the Left gets what it wants – then it’s Despair and Stasis, forever, and only heartless, selfish Enemies of the State would dare to hope for change. By keeping the truth of ObamaCare hidden until Democrats were able to shove the Affordable Care Act down America’s throat in a dead-of-night vote, the Left accomplished its vital goal of tricking its subjects into signing away their freedom and taking steps toward collectivism they will never be able to retrace. What good does it do to learn the truth now? We live in an age where truth has full depreciated to become a yard-sale item, while we are forced ever deeper into debt to pay for illusions.